Honor-shame culture orientation is the societal reality for 80% of the world population yet few theological or pastoral reflections have been written in this field. 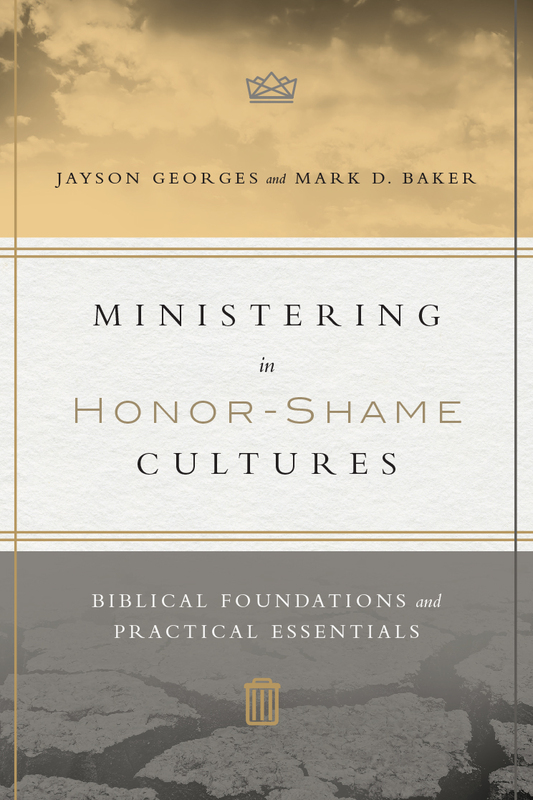 Jayson Georges expands on his foundational work (The 3D Gospel: Ministry in Guilt, Shame and Fear Cultures) in partnership with Mark D. Baker (Recovering the Scandal of the Cross: Atonement in New Testament and Contemporary Contexts) to write a profound book concerning ministry in honor-shame cultures. The introduction of the book sets the background of the discussion, noting that honor-shame cultures in some variation predominate around the globe. Even in the Western world, with the increase in immigration, understanding honor-shame cultures becomes more relevant to missional life. It is necessary to think theologically and missiologically from an honor-shame perspective in order to communicate the gospel to the world. The book is divided into three parts: part one address the cultural anthropology from an honor-shame perspective, part two addresses the Biblical theology, and part three concerns practical ministry. The cultural anthropology shows how an honor-shame orientation impacts thinking and behavior. It establishes expectations from the community, finding validation or loss of face according to how the group interprets and reacts. This orientation is found with other cultural markers such as collectivism, patronage, indirect communication, event orientation, social roles, and hospitality. Georges then expands his description of how each of these characteristics functions in an honor-shame culture and the importance of cultural sensitivity to cast theology in ways that make sense outside of the West. The theology section addresses honor-shame in both the Old and New Testaments. In the Old Testament, Georges’ focus is primarily on the loss of position and restoration, using examples from the narrative. The New Testament discussion focuses around Christ and how honor-shame is part of the salvation narrative. This is brought into focus through Christ’s interaction with the restoration of people who have either ascribed or achieved shame. And the crucifixion account is the heart of the restoration of honor which triumphs over the most powerful symbols of shame in a very public way. Thus anthropology and theology are brought to bear on how ministry should occur. Georges expects that a cultural reflection of honor-shame orientation appears differently in the life of the church and individual believers than the typical Western understanding. He demonstrates this in the areas of spirituality, relationships, evangelism, conversion, ethics, and community. What Georges and Baker achieved here is a departure from Western ideals in several areas including why people behave in certain ways, how we can understand Scripture through an honor-shame paradigm and how that works itself out in the life of believers and in the life of the church. This is a fresh perspective that is relevant to the church as global interaction continues to spread meaning that there has to be the ability to see from the perspective of the other, what Volf calls “double vision”. Too often there is the thought that people act out of the same motives whatever their location and that Scripture can be applied uncritically in every context. Yet Georges moves the discussion to new places through his broad exploration of this topic. The fact that he willing confronts both the anthropological and Biblical aspects of honor-shame moves the conversation to new places and for that reason, this book is one of the most important missiological books of the year. It should be on the reading list of every serious student of mission who works in a global context.